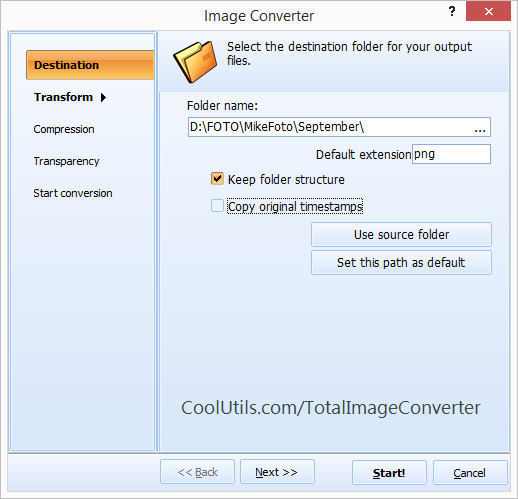 Moreover you can use TIC as a batch image converter that means you can process any number of files in one program cycle. 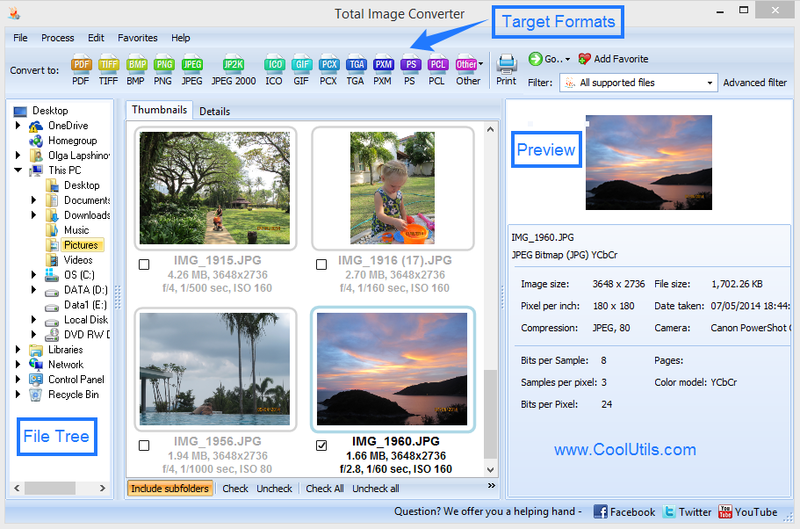 To do this you need only to select all source file at a time and convert them all with one options set. 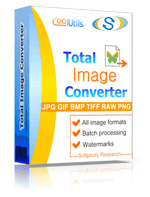 TIC has unlimited facilities for working with PNG files – from converting them into one of 30 image types to protecting it from copying by adding a watermark. 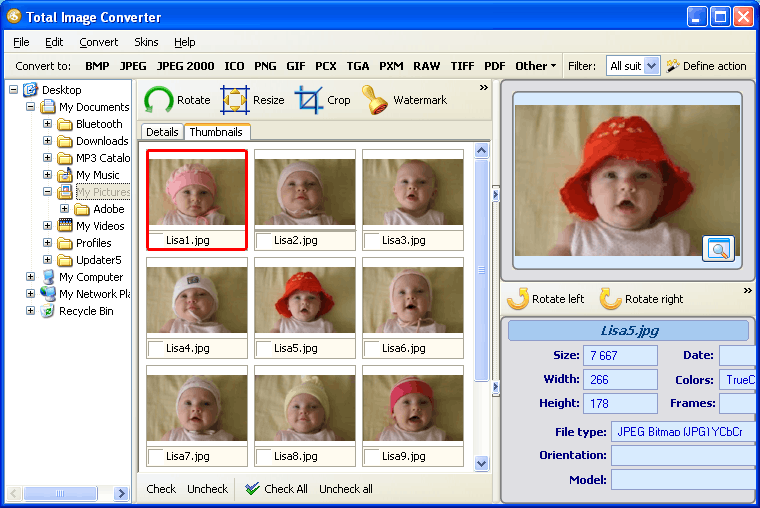 Simple interface with clean logic will help to learn all features in a very short time. You are welcome to download it right now!